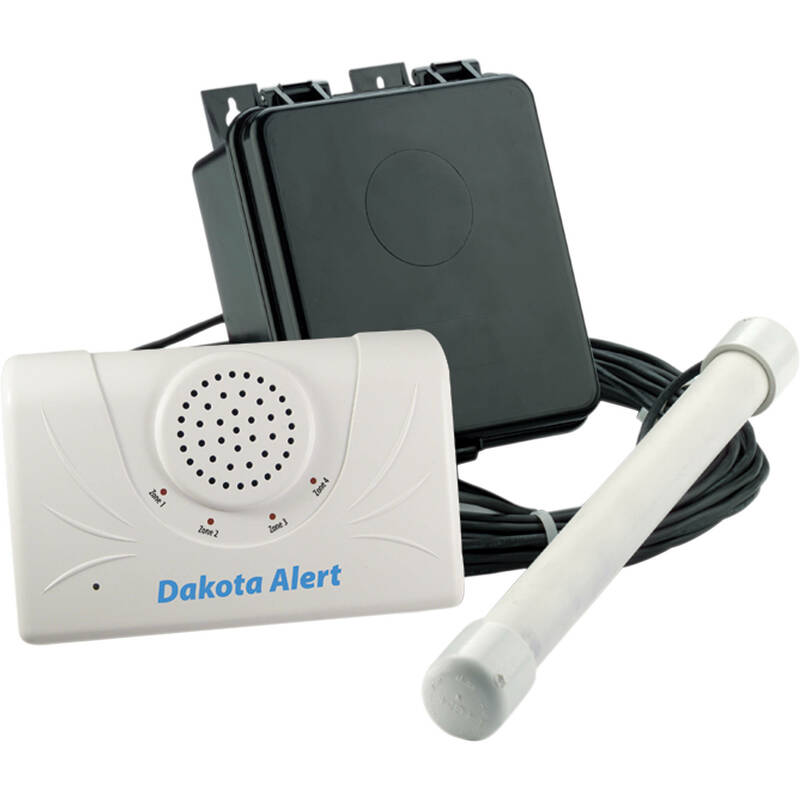 The DCPA-2500 is ideal in locations where there may be deer or other large animals that would cause false signals with a motion detecting system. Also, because the probe is buried underground, it will be the least noticeable of our wireless systems. The transmitter is weatherproof and meant for exterior locations. The DCR-2500 receiver has four form “C” relay outputs and one 12VDC output. The output durations are adjustable up to 10 minutes. The receiver will play one of four different tunes that are selected at the transmitter so that different zones can be distinguished. The receiver is powered by a 12VDC transformer. The receiver also offers a 5-minute exit delay so you can leave the house without disturbing any occupants as well as a reminder beep and counter function. *Actual range will vary depending on the environment. This is a good item but due to the rolling terrain and distance to my house this unit didnt work for me. We needed this to reach a few hundred yards over rugged terrain and heavy trees and it wasnt able to do that for us. Called Dakota customer service and they thought maybe this was a out of spec unit and to send it back. I opted to buy the MURS unit instead with much more power and distance. That said this unit had a very sensative probe when we tested it. Picked up my glock and a shovel and a pick axe going over it. I think thats VERY GOOD. If you dont have to much terrain this might be a great unit for you. Four stars because the box could be more robust.